This is a stunning individual who is from the same dam as Sammi Birch’s Hunter Valley II who was selected as reserve for the Rio Olympics and would have been selected for WEG 2018 except he sustained a small injury prior to the team being announced. His dam’s sire, Brilliant Invader needs no introduction, as he is the sire of Blyth Tait’s World Champion Ready Teddy and also many of Wendy Schaeffer’s top level eventers. 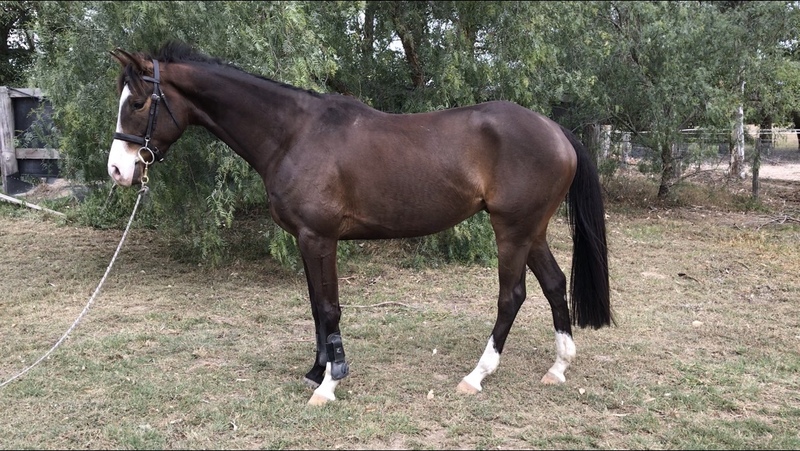 He is by Staccato who sired 2 winners of Adelaide 4*! 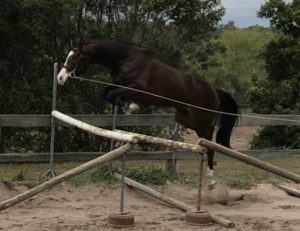 This horse was bred to jump and gallop and has the most amazing looks. He is going kindly under saddle and is consistently on the bit and has started jumping under saddle. He shows enormous promise as a jumper free schooling as he is sharp in front and happy to use his hind end. This entry was posted in Progeny, Sale. Bookmark the permalink.